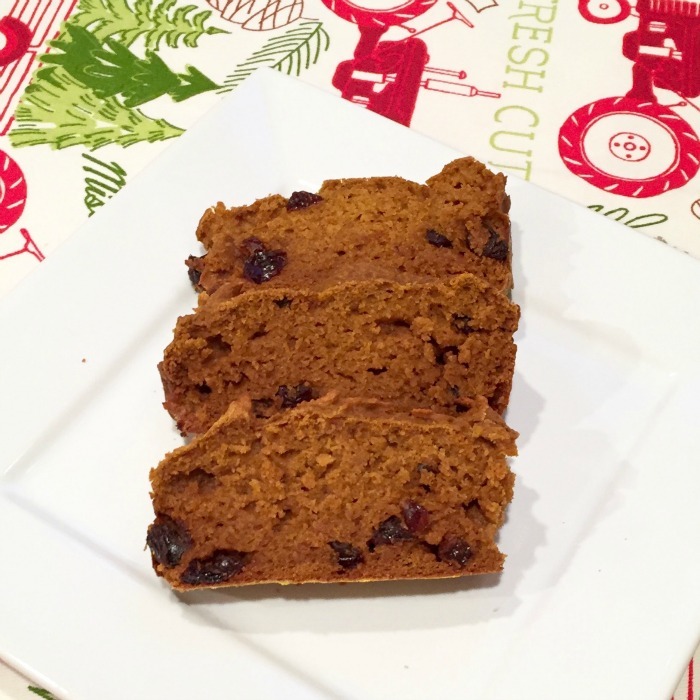 This Harvest Pumpkin Spice Bread Recipe is going to become a holiday favorite — packed with loads of flavor! Plus, it freezes well so you can enjoy it well into the winter for those chilly days. Why do we call it harvest bread? Because this is not your tea and crumpets kind of treat. This bread is hearty, filling and flavor packed. For some people, the sight of lights brings them right back to the feeling of the holidays. For me, it’s always been the smells. If my house doesn’t smell wonderful during the holidays, then it just doesn’t feel right. But, if you’re like me, you’re also trying to cut back the calories. SIGH. 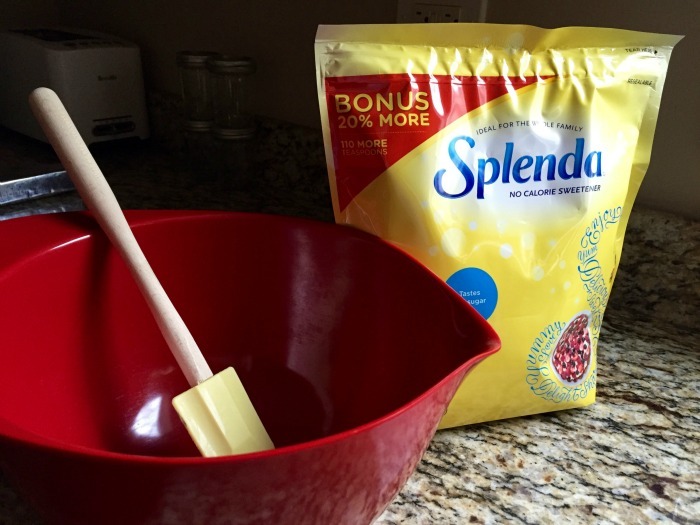 So when I was approached about the SPLENDA® SWEET SWAPS™ Initiative, I was intrigued. The initiative is focused on helping folks make smarter, balanced decisions for a healthy lifestyle. 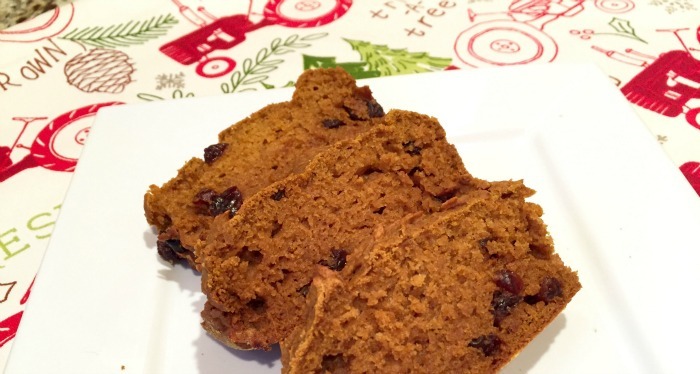 Imagine baking some of your favorite holiday treats but without the calories of sugar! Just by swapping one cup of sugar with one cup of SPLENDA® No Calorie Sweetener, you can save more than 600 calories. But will it work in some of my favorite holidays recipes, including an old recipe from my grandma?Challenge accepted! 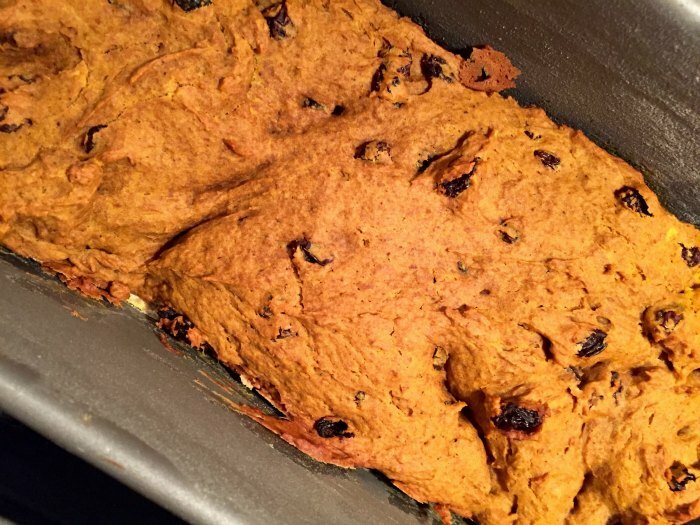 Time to break out our Harvest Pumpkin Spice Bread Recipe. And just to “sweeten” the pot, be sure to enter to win a grand prize $500 Walmart gift card!!! Details follow the recipe. 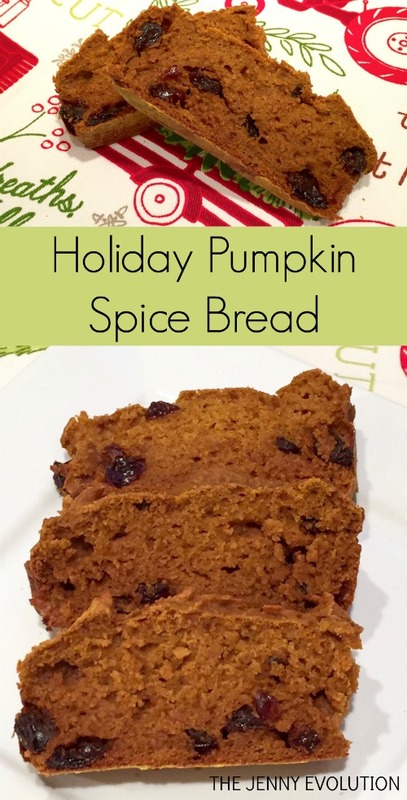 You’ll notice that my photos don’t include the pumpkin spice bread with walnuts. We have a nut allergy in the house… but if you aren’t allergic, the walnuts really are an important part of what makes this recipe taste so amazing. It still tastes good without them, but I would opt for them if you’re not allergic. Step 2: Beat eggs gently with sugar in large mixing bowl. 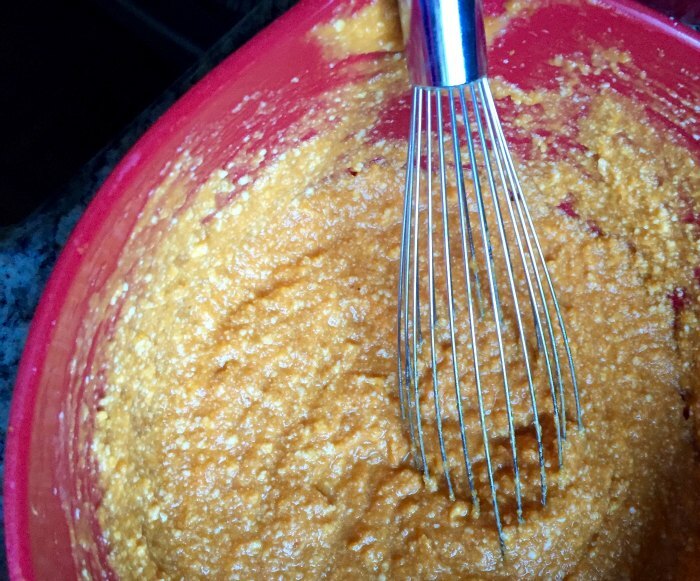 Step 3: Add shortening, applesauce and pumpkin. 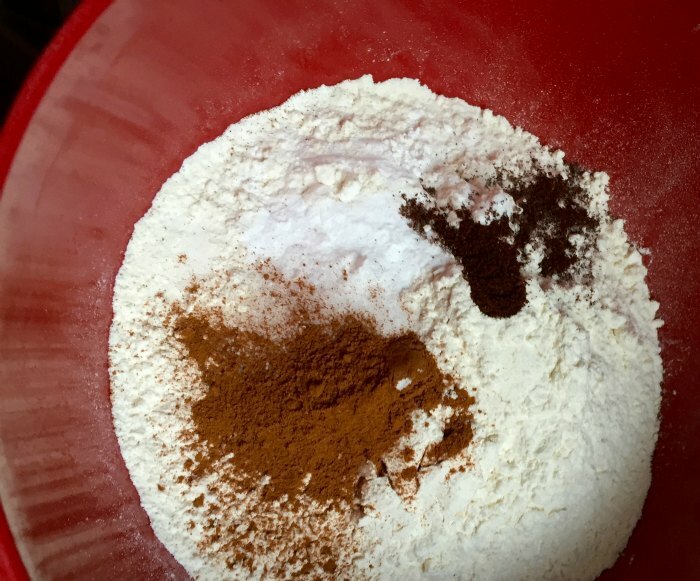 Step 5: In a medium mixing bowl, sift flour, baking powder, baking soda, salt and spices together. Step 6: Stir into egg mixture. Step 7: Fold in raisins and nuts. Step 8: Pour batter into 4 greased and floured 8 1/2 x 4 1/2 x 2 1/2-inch loaf pans. Step 9: Baking at 350 degrees for 1 hour or until it tests done. Step 10: Cool 10 minutes. Turn out on wire rack to complete cooling. Beat eggs gently with sugar in large mixing bowl. Add shortening, applesauce and pumpkin. 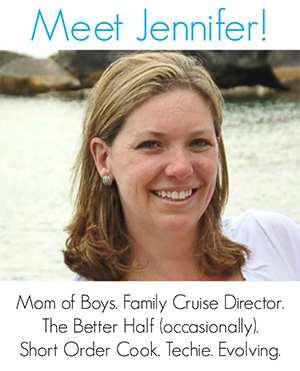 In a medium mixing bowl, sift flour, baking powder, baking soda, salt and spices together. Fold in raisins and nuts. 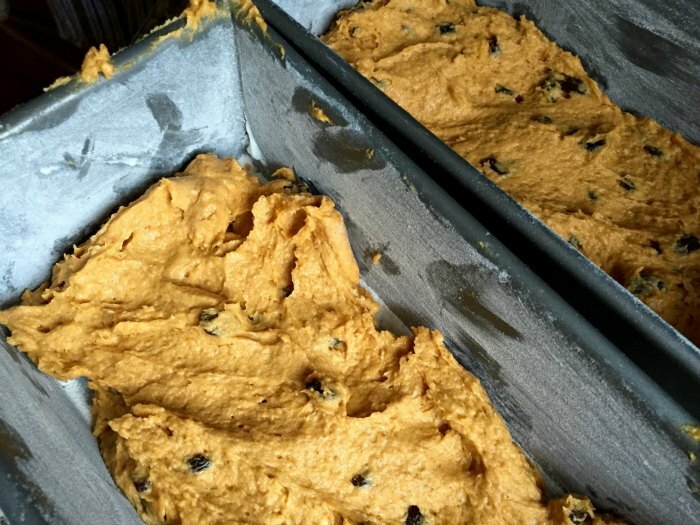 Pour batter into 4 greased and floured 8½ x 4½ x 2½-inch loaf pans. Baking at 350 degrees for 1 hour or until it tests done. Cool 10 minutes. Turn out on wire rack to complete cooling.